Development of renewable energy in Russia: "the shoemaker's child goes barefoot"
International "Ecodefence" Group has released a report "Overview of options for introducing renewable energy in the Russian Federation." Environmentalists believe that the potential for renewable energy is present in all regions of Russia, and without development of renewables the country and regions are doomed to technological backwardness, significant economic costs and a severe burden on the environment. The review provides a brief analysis of development of renewable energy in Russia and presents the "balance of power" - person and organizations influencing development of renewable energy in Russia. The document provides the basic legislative acts defining the framework for development of renewable energy, and energy programs and scenarios that are important from the viewpoint of development of renewable energy sources (federal, international and "alternative” ones). 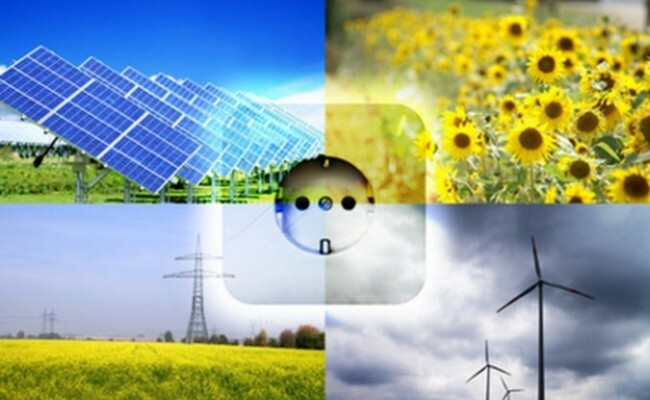 The review also assesses the prospects for development of renewable energy from technical and economic points of view, assesses the prospects for separate types of renewables and the factors impeding and stimulating development of renewable energy in Russia, and recommendations on the creation of favorable conditions for the development of energy alternatives. The experts make the conclusion that "every third ton of oil and cubic meter of gas burned in Russia can be replaced by wind or solar energy, biomass etc. The technical potential of renewable energy resources exceeds by five times the annual consumption of primary energy resources in Russia." Ecologists believe that one of the reasons for "marginal" position of renewable energy in the energy balance is the state subsidies to traditional forms of energy. The state subsidizes both entire sectors “on a grand scale", such as coal and nuclear power, and local energy producers. The authors of the report write: "The cost of 1 kWh of electricity even at most modern diesel power plants in isolated areas today is 5-10 times higher than the average selling price of electricity to the population (2-4 rubles). Budgets of all levels are forced to subsidize diesel generation. Under existing large distances between regions, transportation costs significantly increase the overall cost of fuel. As a result, such territories as Kamchatka, Republic of Tuva and Altai Republic, rich in renewable energy, spend over half of their budgets on fuel." The unique part of the report is the attempt to assess the balance of power and energy interests in the domestic energy sector and politics. Contradictory situation with renewable energy is partly due to the ambiguity of the position of the Russian leadership on this issue. The opinion of the most influential persons in the country about alternative energy is being changed, but is not particularly friendly one. Environmentalists point out several positive trends for development of renewable energy within the Ministry of Energy that has functions of implementation of government programs in this direction and within the State Duma that created a Subcommittee on small energy. The experts assess legislative opportunities available in the country. They ascertain that significant changes took place over recent years. However, it is too early to speak about full legal support to renewable energy: “The goals indicated in documents are not reached, and some legislative acts contradict each other. For example, the Order of the Government sets the target of 1 % share of renewable energy sources by 2010. However, this figure has not been achieved even in 2013. Furthermore, there is no clear idea (not to mention the action program) how to reach 4.5 % by 2020. Two major pieces of legislation related to renewable energy (the Federal Law No. 261 "On Energy Saving" and Resolution № 449 of the Government of the Russian Federation) create two completely different fields to make decisions. This situation can be used for the benefit of renewable energy facilities, but there are no schemes for considerable breakthrough of alternative energy yet. Environmentalists associate big hopes to promote renewable energy in Russia with regions, as regional authorities have a part of responsibility for ensuring stability of power supply, and a number of federal laws set tariff guarantees that promote economic justification for investments in renewable energy, and allows regional authorities to implement policies for development of energy alternatives. According to the report, "the difference of the situation with alternative energy in Russia and in other countries is almost spontaneous character of development of renewable energy sources, this being a response to the "challenges" from centralized state-owned energy generation. Numerous, but not yet very influential lobbyists of renewable energy work in difficult conditions. Renewable energy meets serious obstacles in investments, including lack of transparency, energy prices independent of the real energy cost, and insufficiently mature financial sector. Currently, renewable energy in Russia cannot compete because of the so-called "low start": conditions for different technologies of electricity production are unequal." According to experts, renewable energy in Russia is underestimated in terms of political, economic and social importance. Today, the raw material development model dominates in Russia. There is propaganda against the use of renewable energy because of alleged high costs and technical underdevelopment of this type of energy. At the same time, renewable energy may well be, and probably will be actively developed from below as the alternative to hydrocarbon resources most expedient at the moment. However, in this case, the development will go very slowly. Energy breakthrough will be possible if the National Strategy for renewable energy development will be adopted, with a huge support from the federal budget. "Removal of subsidies for traditional fuels can play an important role in development of renewable energy sources, as mentioned in the documents of the "Big Twenty", which includes Russia. Domestic politicians and economists shall realize that, with the active development of renewable energy around the world and carbon regulation gaining strength, Russia can find itself in an extremely no-win situation. In addition to technological backwardness, we can get significant economic costs and increase of the already catastrophic burden on the environment, which leads to further deterioration of population health and of welfare."